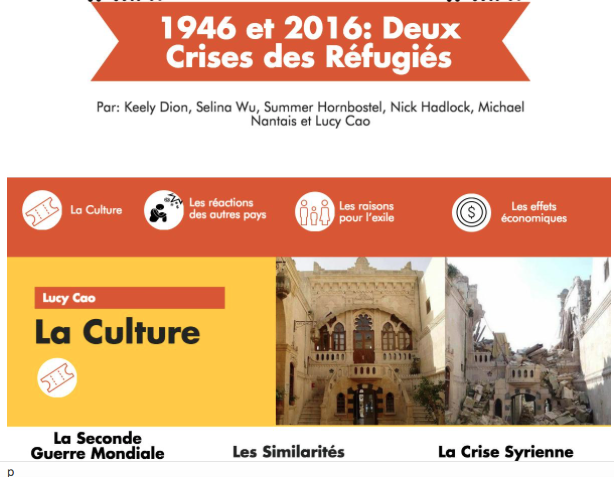 Editor’s Note: The assignment in Advanced French–Francophone World:“Working together you are going to create an infographic that makes a comparison between the refugee crisis during and after the second world war and the current crisis in 2016. 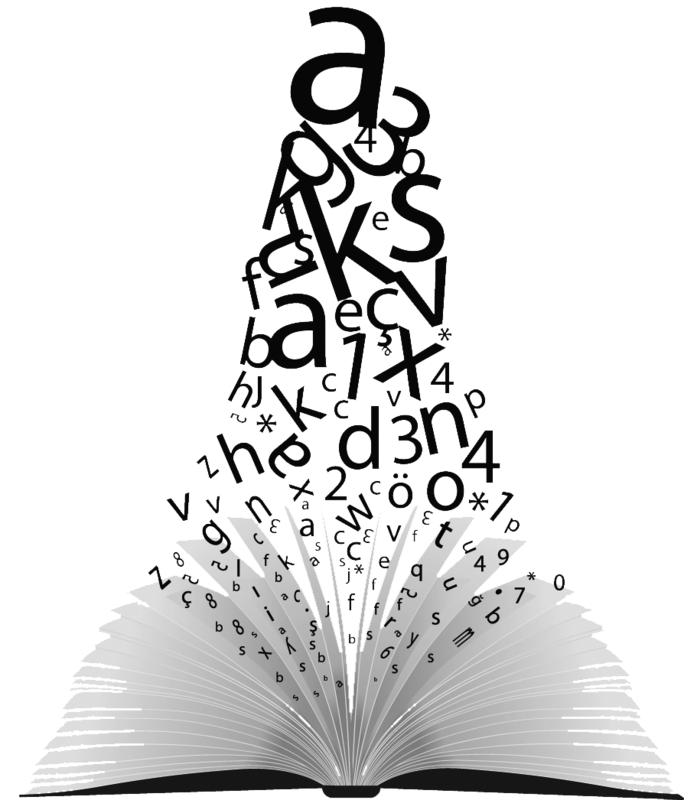 You may identify some guiding questions of your own. Cassidy, John. “The Economics of Syrian Refugees.” The New Yorker. N.p., 18 Nov. 2015. Web. 24 Oct. 2016. “Crise Migratoire En Europe.” Wikipedia. Wikimedia Foundation, n.d. Web. 24 Oct. 2016. “Europe’s Refugee Crisis Pales In Comparison To World War II Aftermath.” NPR. NPR, n.d. Web. 24 Oct. 2016. “Exode De 1940 En France.” Wikipedia. Wikimedia Foundation, n.d. Web. 24 Oct. 2016. “Global Issues at the United Nations.” UN News Center. UN, n.d. Web. 24 Oct. 2016. Hogg, Jonny. “Saddled with 2 Million Syrian Refugees, Turkey Shows Signs of Strain.” Reuters. Thomson Reuters, 15 Sept. 2015. Web. 24 Oct. 2016. “Post World War II Migration.” Globalization 101. N.p., n.d. Web. 24 Oct. 2016. “Quick Facts: What You Need to Know about the Syria Crisis.” Mercy Corps. N.p., 13 Oct. 2016. Web. 24 Oct. 2016. “Réfugiés De La Guerre Civile Syrienne.” Wikipedia. Wikimedia Foundation, n.d. Web. 24 Oct. 2016. Rothman, Lily, and Liz Ronk. “This Is What Europe’s Last Major Refugee Crisis Looked Like.” Time. Time, 11 Sept. 2015. Web. 24 Oct. 2016. Silva, Cristina. “Four Years Of War Take A Toll On Syria.” International Business Times. N.p., 19 Nov. 2015. Web. 24 Oct. 2016. “Syria Refugee Crisis FAQ: What You Need to Know | World Vision.” World Vision. N.p., 12 Sept. 2016. Web. 24 Oct. 2016. Wasserstein, Bernard. “European Refugee Movements After World War Two.” BBC. N.p., 17 Feb. 2011. Web. 24 Oct. 2016.